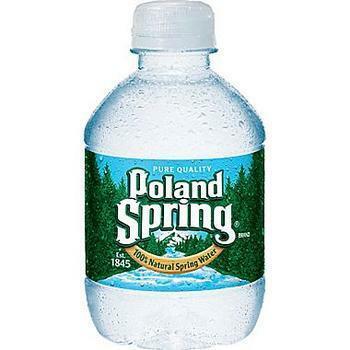 A class action lawsuit, filed in Connecticut, seeks damages from Nestle Waters, claiming its Poland Spring bottled water doesn't actually come from springs. Eleven consumers are listed as plaintiffs in the case, charging Nestle has used the association between spring water and purity as a marketing ploy to sell, what the suit claims, is essentially filtered ground water, charging a premium price. In a statement, Nestle Waters, based on Stamford, Conn., said the suit has no merit, and further branded it an attempt to “manipulate the the legal system for personal gain.” It also said Poland Spring meets the Food and Drug Administration's (FDA) legal definition of spring water. This is not the first time the issue has been raised. The Portland (Maine) Press Herald reports Nestle Waters faced a similar lawsuit in 2003, with the plaintiffs alleging that the company's marketing was misleading about where the water originated. According to the report, the suit was settled out of court, with the company providing about $8 million in consumer discounts and more than $2 million given to charitable organizations. Bottled water has become big business in the U.S. over the last two decades. In March, Beverage Marketing Corporation reported that bottled water overtook carbonated beverages in U.S. sales last year. He says bottled water sales have increased every year from 1977 to 2016, with the exception of two year during the Great Recession.